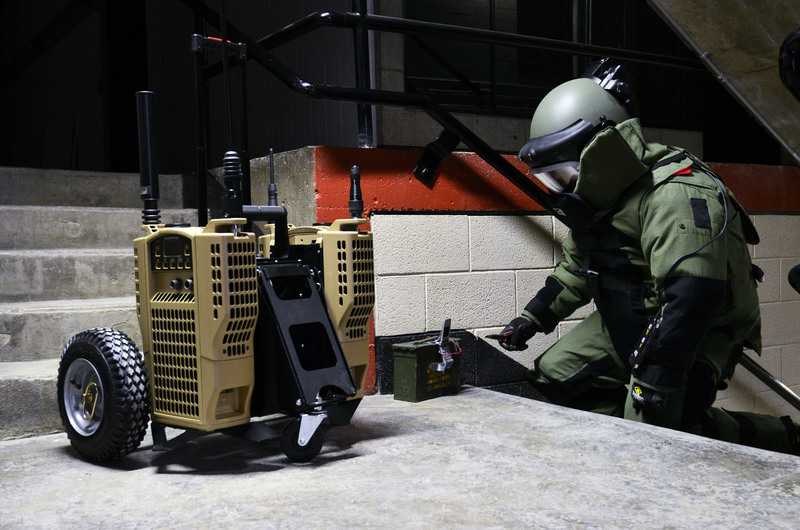 The EDEY FX Modular ECM (Electronic Counter Measures) Carrier is an essential tool in the aid of EOD technicians around the world. 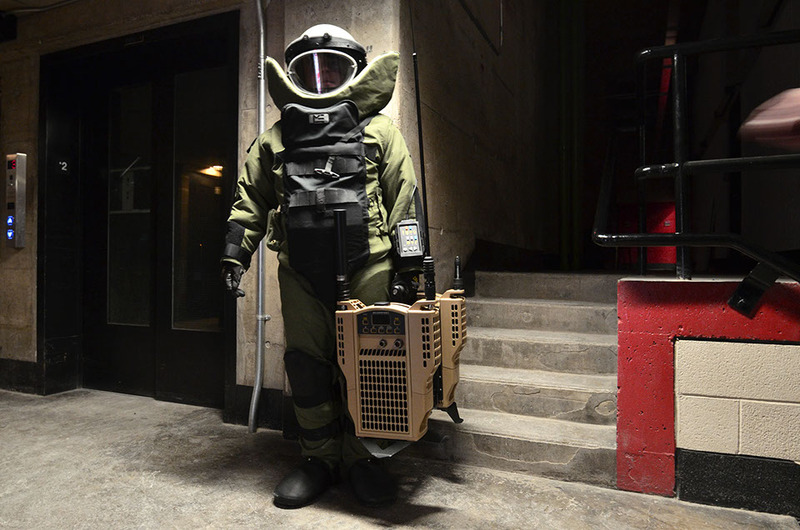 The innovative design allows two or three portable jammers to be taken down range by an EOD technician in a blast suit. 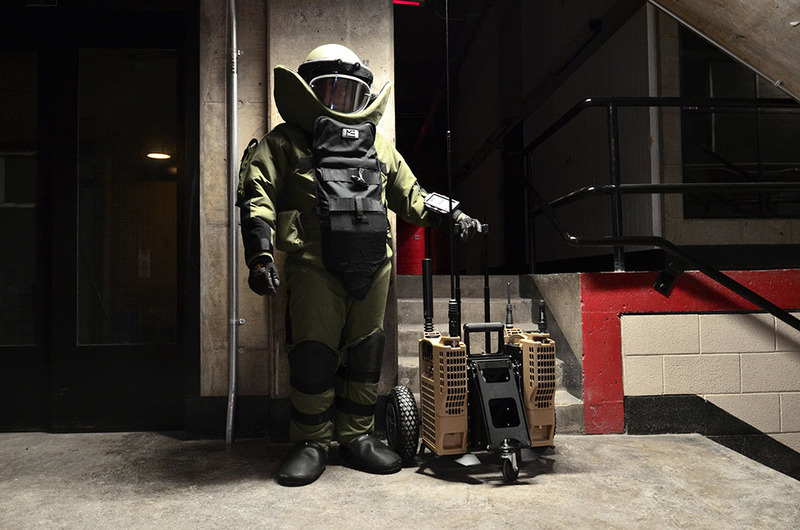 If the situation is deemed too dangerous for the technician, the design allows for a robot to take the equipment down range before a technician arrives on scene. The ECM Carrier was designed to fit through the international standard minimum door width. 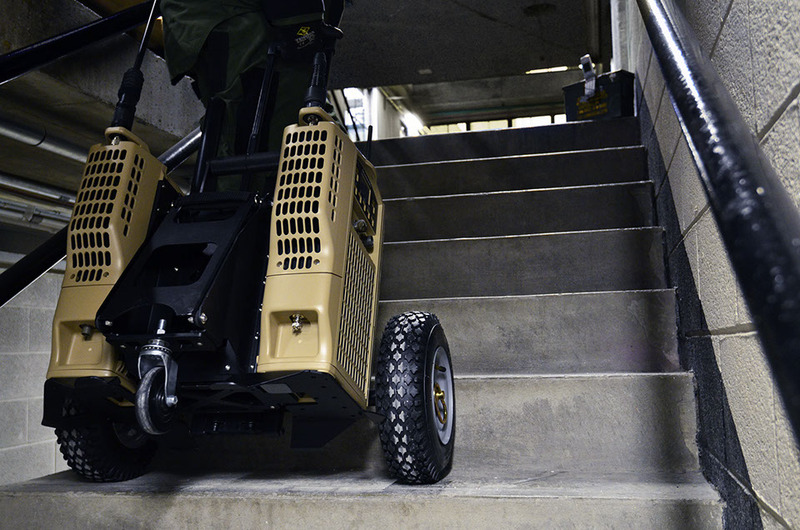 It is easily pulled up stairs or rolled down them, avoiding the need for the EOD Tech to carry additional loads. 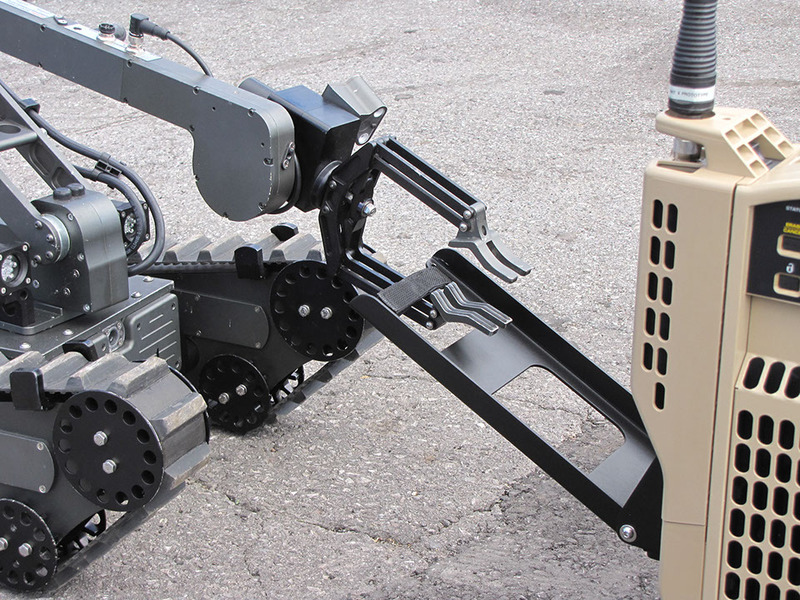 If the situation is deemed too dangerous for an EOD Technician any robot with a grab arm can take the ECM Carrier down range by simply gripping onto the webbing pull handle. The development process took place over 3 phases; customer product analysis, ideation & prototyping, and final CAD. The picture below shows the evolution of the product during a month-long testing and prototyping phase to get us to the final field-proven design we have today. More than 150 EDEY FX Modular Carriers are in use around the world. 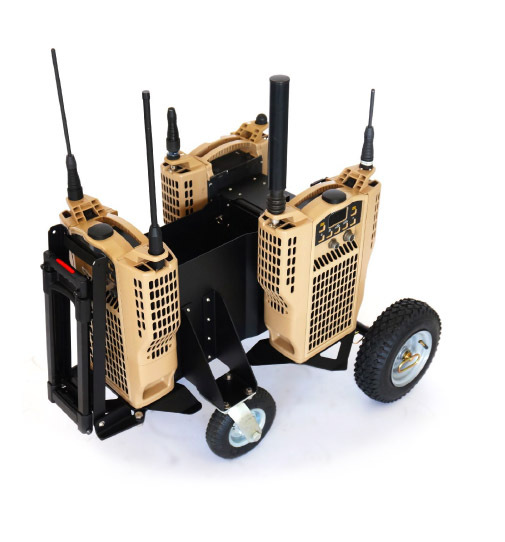 We were tasked to provide a version of the Modular Carrier that could mount 3 portable jammers for use-cases that required 6 channels of defense. 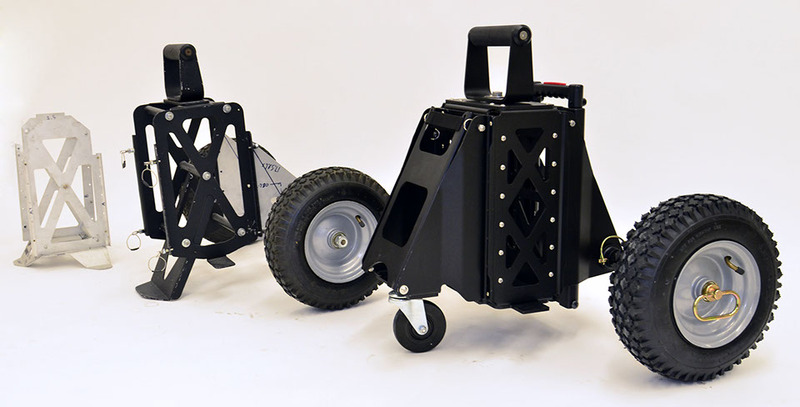 The nature of the modular design allowed us to develop a quick attachment for the third jammer and two additional wheels. This modification was shipped out to and mounted by the clients who had the Dual set-up but required a third jammer or other equipment mounting possibilities.